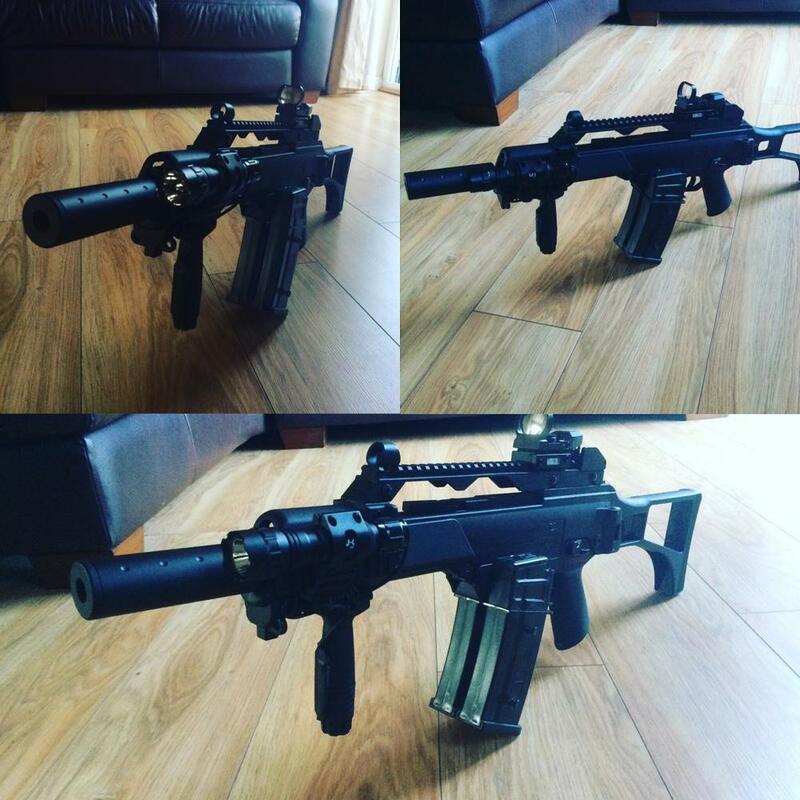 Broken G36C Finally Fixed And Finshed! Thoughts? I received a broken G36C and after replacing most internal parts it's finally fixed and finished with a few accessories. But it has a torch and a red dot and that suppressor looks really useful. G36 is one of the most boring looking guns out there unless you get a really special one. Congrats on fixing it though. It looks good, I`m not into G36 type but those accessories do make it look apart. First post on this forum. Just to say, looks decent & I like the accessories you've added. Enjoy using it! !